After the announcement yesterday, Treyarch has officially released the brand new map for the Blackout mode, joining the regular launch map in the Blackout rotation. The new map is a remake of Alcatraz is a close quarter Blackout experience, unlike anything before in Call of Duty: Black Ops 4. The map is free for all players starting now on PlayStation 4, with other platforms to follow next week. 40 players, with 10 teams start the game. Only Quads available right now. This is a close-quarters battle royale. 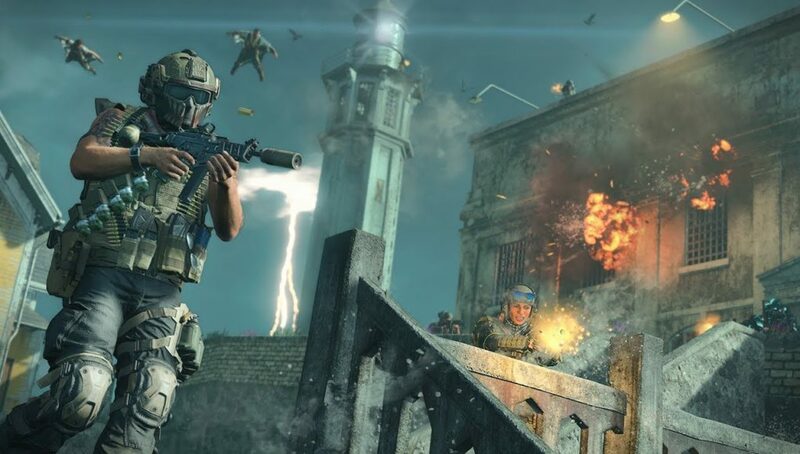 Take no prisoners on Call of Duty®: Black Ops 4’s new Blackout map, Alcatraz, available now on PS4, other platforms to follow. Originally shown off during the Operation Grand Heist trailer for a split second, Treyarch then added a crashed plane in the northwest section of the map. This is a nod to the Black Ops 2 Zombies map, Mob of the Dead in which a group of mobsters attempt to escape the prison on a makeshift bi-plane. Alcatraz Map is available now for free on PlayStation 4 and is available April 9 on Xbox One and PC.